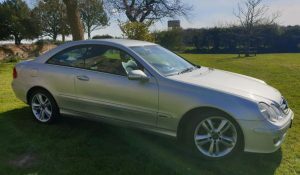 Mercedes-Benz CLK 2.1 CLK220 CDI Avantgarde 2dr. Low Mileage. Full Service History, 6 Speed, 1/2 Leather, Cruise control, Digital Instrument Cluster, PAS, Trip computer, Windscreen heating, Radio/CD, Electric door mirrors, Door mirrors electrically foldable, Body coloured bumpers, Front fog lights, Air conditioning, Front electric windows, Steering wheel rake adjustment, ABS, Drivers airbag, ESP, Passenger airbag, Side airbags, Traction control, Alarm, Central locking, Immobiliser, Remote central locking, Leather seat trim, Alloy wheels, Spare wheel, 12v. 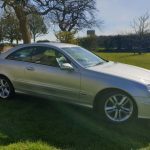 Reepham Garage Services we offer a wide range of services including competitive finance rates from industry leading Finance Specialists Close Brothers for all of our vehicles. Our vehicles will come warranted, HPI checked and fully prepared to the highest standards and part exchange are welcome. Our aim is to provide you with a high quality and reliable vehicle at affordable prices with a relaxed buying experience. Call: 01603 944137 or Reepham garage services 01603 944137. Test drives and viewing welcome MONDAY TO FRIDAY 8 5:30 SATURDAY 8 12. Outside working hours ok if pre arranged. Credit/debit card payments taken, credit cards do have a 3% surcharge. FINANCE AVAILABLE.